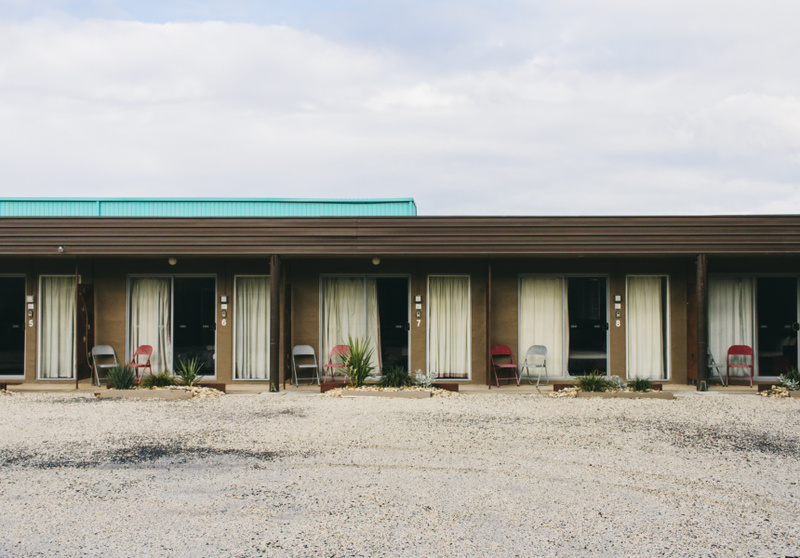 Greg and Natala Flynn of Flynn’s Wines took over this 1983-built motel in 2013. They renovated the 10 existing motel rooms, converted the main residence into a three-bedroom house and built four two-bedroom lodges. 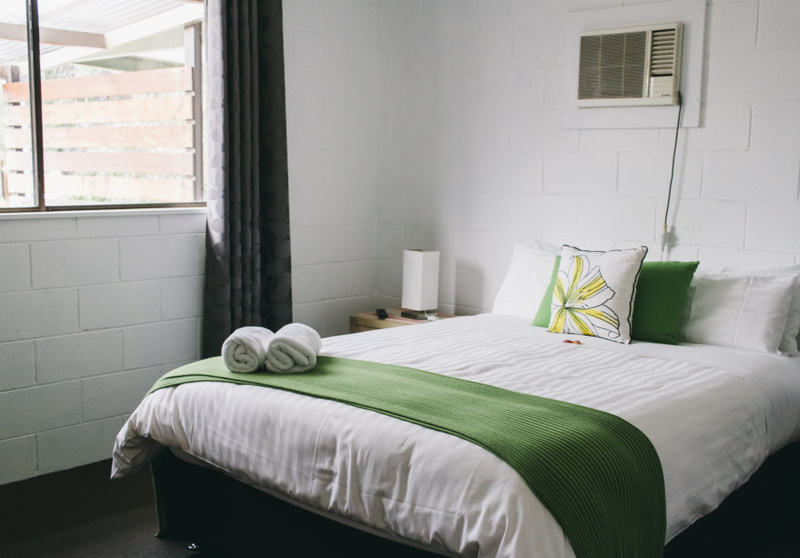 Set on the main street, the revamped Heathcote Retreat Motel caters to a variety of group numbers and budgets. The house features a full kitchen, dining and lounge room, two bedrooms with queen-size beds and one with a set of bunks for the kids. The motel rooms are a standard studio plus bathroom arrangement, with basic food-heating devices (microwave, kettle, toaster) on hand. 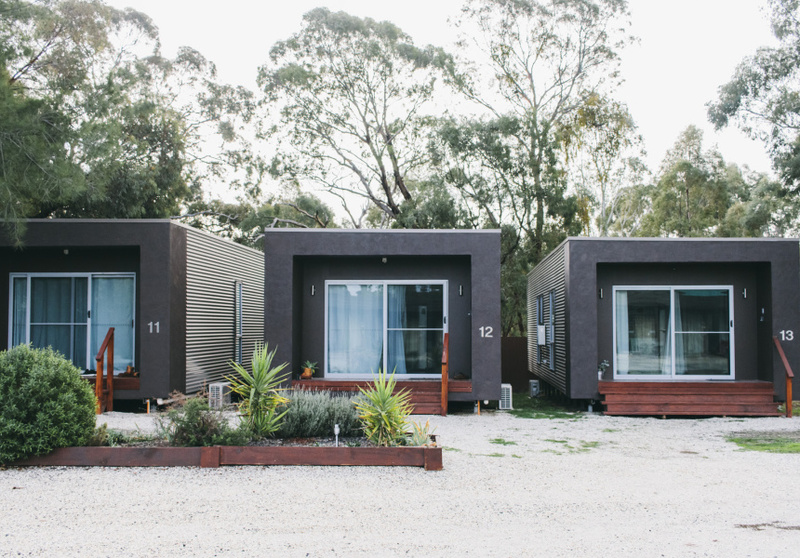 The two-bedroom lodges were built in 2015. They’re a cosy accommodation option for two couples or a family. There’s a full kitchen, dining table and lounge, and one bathroom (stocked with travel-size L’Occitane products). A small deck at the front and the picnic tables dotted about the property are ideal spots to enjoy your afternoon glass of wine. Explore Heathcote further in our detailed Out of Town to Heathcote guide.